Over at Studio Calico this month, there was a Breast Cancer Awareness challenge, using PINK on your layout. 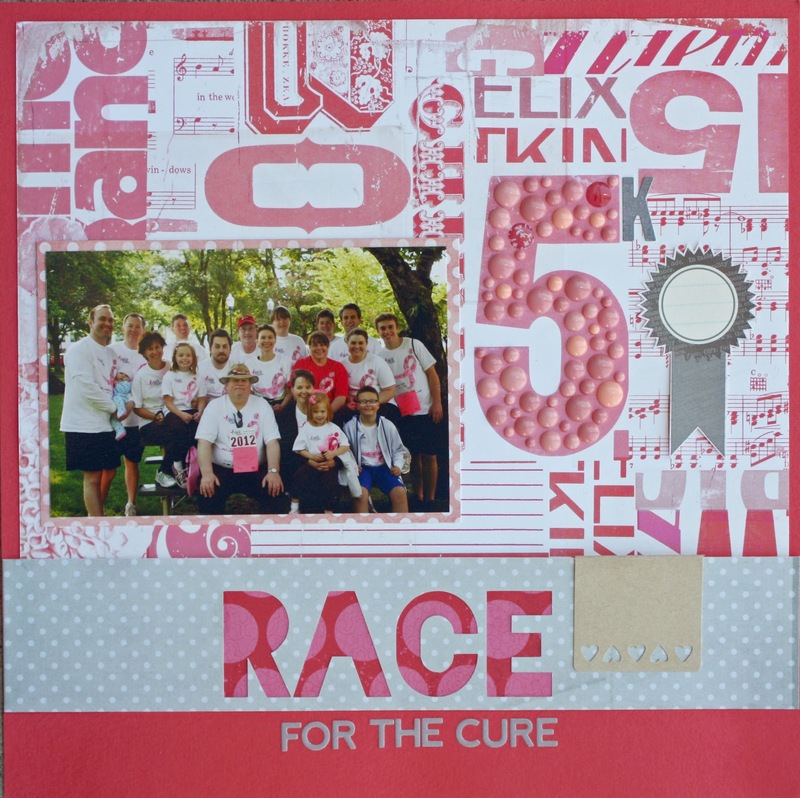 Lucky for me - I happened to have pictures from Race for the Cure and the perfect pink scrappy stuff to complete the challenge! I had a great time with this challenge, I got to dig through a lot of my stash to find some fun pink things. I love that our family has this tradition. It's a great excuse for us to get all together and celebrate those in my family who have battled cancer. Looking forward to this weekend, this week has been rather packed and stressful.